My husband drove his car into the driveway as I opened the front door. I was heading out to join him for our weekly extra-long prayer walk. 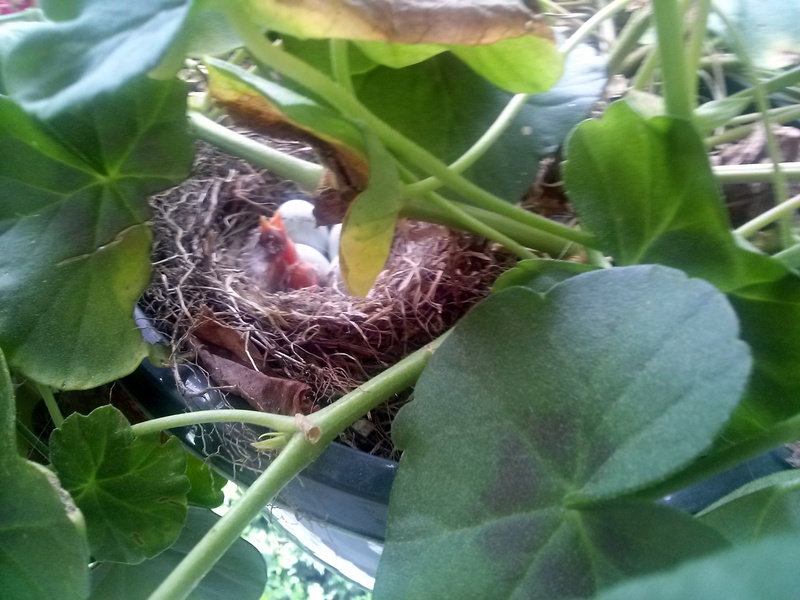 On the way to the car I thought I’d take a quick look at the bird’s nest in my hanging geranium, as has been my custom over the past several weeks. 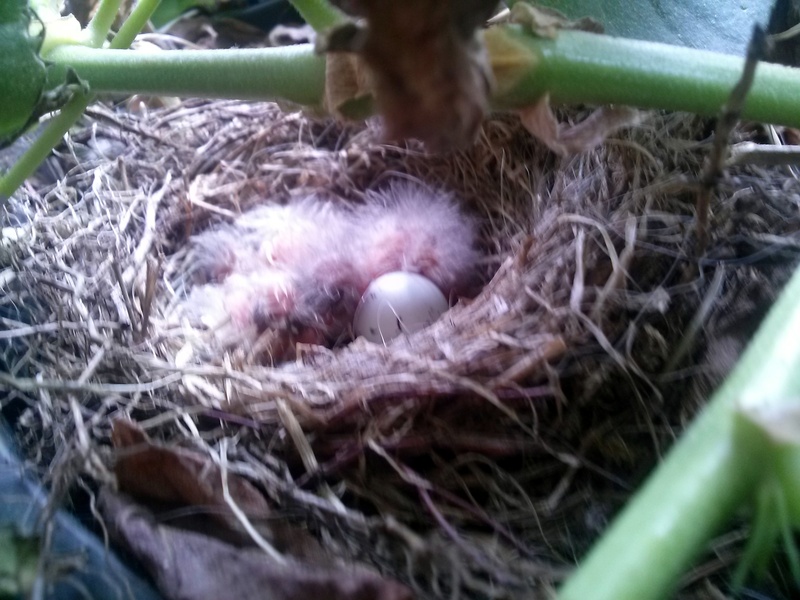 As I pulled the chair over, (I have to stand on a chair in order to see the nest) I felt a sense of disappointment. I thought the eggs should have already hatched, and was feeling a bit concerned that perhaps something had gone wrong with them. Maybe the mother didn’t sit on the eggs long enough each day…or maybe I had messed them all up by looking at them. Sigh. 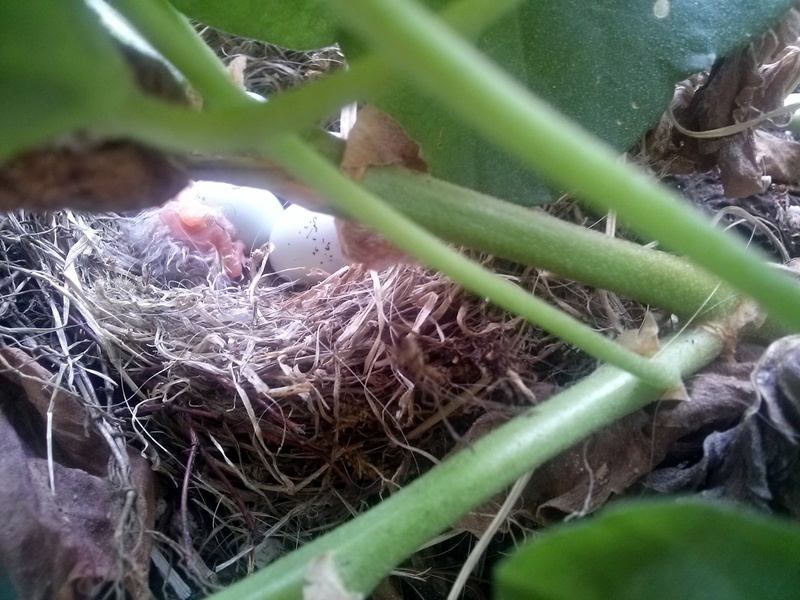 Just as I peeked into the nest, I saw a creature (hardly bird-like) coming out of an egg. Yes, God smiled on me and let me arrive at the exact timing of the hatching! Gradually, this creature began to take the shape of a tiny bald bird with really large eyes. Throughout the day, in intervals between errands and appointments, I peered into the nest. Each time I looked, another bird was being born! I returned home from a meeting late tonight and haven’t yet seen #5. I wanted to look, but mama bird was covering her babies. All was quiet and calm in the nest. 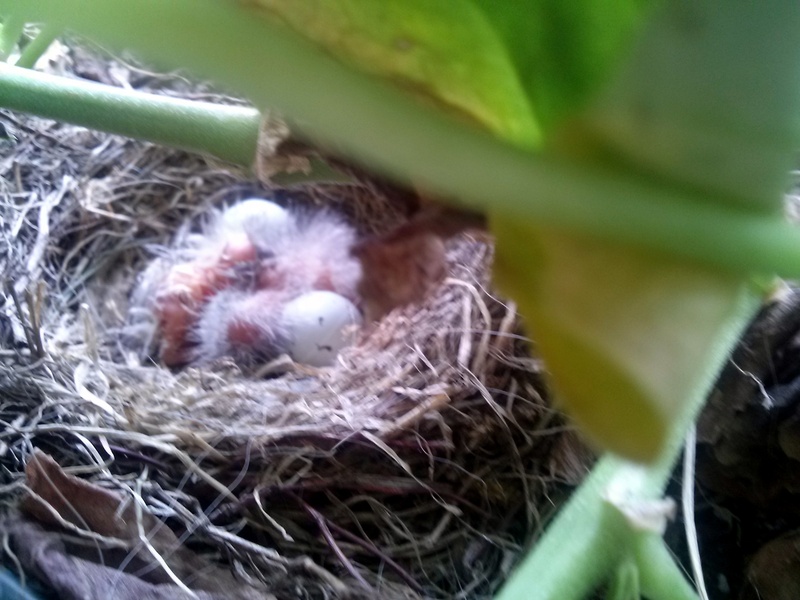 I do realize thousands of birds are born every day all over the world…but this still thrilled me. 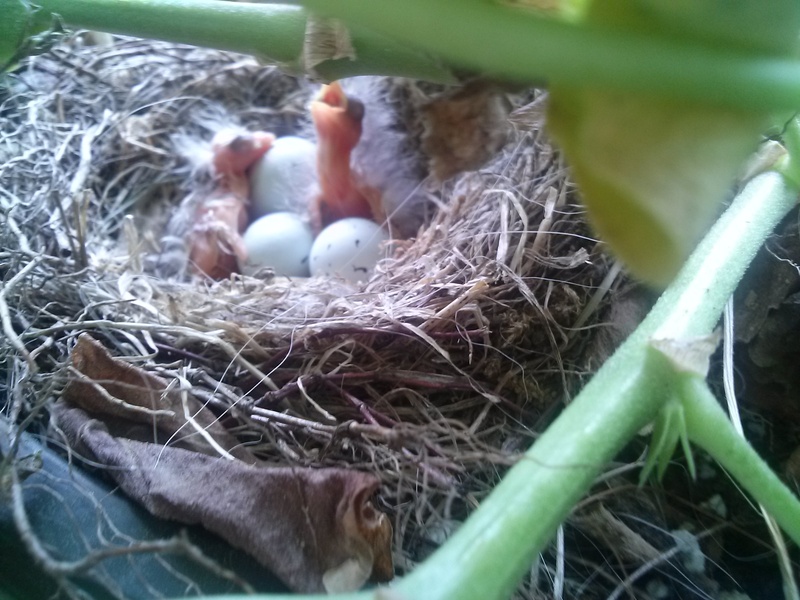 How incredible is this–that just a few weeks ago a bird laid some eggs in my mother’s day gift…and now five tiny little birds are living creatures! Soon, they will fly away. Births never cease to amaze me. They are all miracles. Commonplace, yet profound–too wonderful to fully understand. This verse so well describes how I felt today. And to update yesterday’s post… I had such great fun finding ways to “pay it forward.” I learned anew just how much joy comes from random acts of kindness. I am determined to make this a habit. I decided not to stick around to see responses from the recipients. So, I don’t know what the response was, but I sure know how I felt. It truly is more blessed to give than to receive. Any day we are filled with the wonder of God’s creation–accompanied by a deeper sense of how big God is….is a good day. And–a day focused on random acts of kindness…is a good day. The cool thing is–we can choose to have this perspective any day of the week. That said…have a good day! This entry was posted in devotional thoughts and tagged birds being born, God's greatness, good day, happy, nature, random acts of kindness by jeanieshaw. Bookmark the permalink.